That’s the allure of many annuities. But “guaranteed” doesn’t mean tax-free. Annuities come in many flavors and can cost a lot to set up. So when figuring out if one is right for you, you have to consider many factors, including the tax implications. The last thing you want is to be surprised by your tax bill when your goal is to have adequate income in retirement. “An annuity is a tool. You have to use it wisely,” said certified financial planner Mari Adam of Adam Financial Associates. Although there are many types, annuities fall into one of two broad categories: qualified or non-qualified. And the payouts are taxed differently. If you fund an annuity with pre-tax money, it’s considered a “qualified” annuity. Payments from qualified annuities are fully subject to income tax because you weren’t taxed on your contributions when they went in or on the growth of your money as it accrued, just like in a 401(k) or traditional IRA. Qualified annuities are usually funded with money from an IRA, 401(k) or other tax-deferred account. If you buy an annuity with after-tax money, that’s considered a non-qualified annuity. You’ll only owe income tax on a portion of your payments, because you’ve already been taxed on the principal you invested. What part of your payments will be taxable is determined by a so-called “exclusion ratio,” said Mark Luscombe, principal federal tax analyst of Wolters Kluwer Tax & Accounting US. The ratio is based on the principal you invested, the earnings on your principal and the length of your annuity. Your investment return may be fixed or variable, depending on which type of annuity you chose. If your non-qualified annuity payments are based on your life expectancy and you happen to live longer than expected, that will affect the taxes you pay, too. Say you start collecting non-qualified annuity payments at 65 and your life expectancy is 85. Your payments from age 65 to 85 will be partially taxable based on your exclusion ratio. But if you end up living to 97, 100% of your payments from years 86 to 97 could be subject to tax, Luscombe noted. There is one instance in which annuity payments could be tax free: if you bought an annuity within a Roth IRA or Roth 401(k). In that case, you use after-tax money to buy your annuity and, because it’s a Roth, the earnings will grow tax free, as opposed to just tax deferred the way they are in most other annuities. “Roths would qualify for a 100% exclusion if the timing and age requirements are met,” Luscombe said. There are plenty of other tax considerations that come into play with annuities. For instance, depending on where you live, your state may tax annuity income somewhat differently than the federal government. “It would probably be safest to check with the law of a particular state to see if annuities are treated in that state the same as for federal purposes,” Luscombe noted. And don’t forget potential tax penalties. With any annuity, check the rules for when you may start taking withdrawals or receiving regular payments. Also consider the estate tax consequences. Say you’re investing in a non-qualified annuity for the tax deferral on your investment gains, but you die before you start collecting payments. Your chosen heir will have to foot your tax bill, Adams said. That’s because, unlike with stocks or other investments, there is no “step-up in basis” for those who inherit annuities, Adam noted. A step-up simply means a person would owe no tax on any of the unrealized capital gains that accrued on an investment before they inherited it. Since annuity products can be very complicated and expensive to set up, talk to a tax adviser about the tax implications before agreeing to buy one. “It is also important to discuss the overall financial and investment implications of the annuity with someone other than the person selling the annuity,” Luscombe said. For self-employed individuals, getting a little help from an expert accountant can make filing taxes a lot easier. Just as teachers are the authority when it comes to education, CPAs are the authority on all things taxes. But who uses accountants today, and what purpose do you serve in the eyes of your clients? In an effort to better understand how entrepreneurs interact with accountants and pay their taxes, we commissioned an independent survey of 500 self-employed workers ages 18 and up, in the US. What we found may be the key to helping you prioritize your client relationships in 2019. Would you believe self-employed workers aged 18-24 are more likely to use an accountant than those 55 and older? It’s true! While 28 percent of self-employed workers aged 18-24 rely on an accountant to do their taxes, the same can only be said for 21 percent of workers over the age of 54. But these age groups also have different reasons for using an accountant. Fifty percent of self-employed taxpayers over the age of 55 view their accountant as an essential business advisor, while only 27 percent of those under 55 would say the same. The biggest reason folks under 55 use an accountant, as opposed to just filing their taxes themselves? They don’t know how. In fact, 37 percent admit they’ve never done their taxes themselves and they never want to. Eighteen percent say doing it themselves is just a waste of time, while 17 percent claim they’ve tried and failed to do their own taxes in the past, prompting them to seek help. With a new set of federal tax laws changing the game for everyone next year, there’s likely an even greater chance taxpayers will be relying on an accountant in 2019. That is, for those who’ve realized the tax reform took place. Out of our 500 survey respondents, 9 percent didn’t know there was a tax reform. If they’re not using an accountant, what are they doing? Overall, 32 percent of self-employed workers rely on an accountant to do their taxes, but that number begs the question: What about the remaining 68 percent? As it turns out, the numbers are about even. Thirty-one percent of taxpayers say they’re doing their own taxes on paper, while the last third rely on a tax software like TurboTax. Interestingly, younger self-employed workers are less inclined to use a tax software than their older counterparts. While 42 percent of self-employed workers aged 55 and over are most likely to file online or through another tax software option, only 33 percent of taxpayers aged 18-24 would say the same. Younger taxpayers are also more likely (but only by 1 percent) to file on paper. An interesting choice for the iGeneration. As an accountant, you should be heartened by these current trends. While you have yet to prove yourself an indispensable business resource in the eyes of young up-and-comers, your foot is well inside the door. Many self-employed individuals aged 18-24 haven’t done their own taxes before, and they don’t want to start. Considering these young taxpayers are 23 percent more likely to be audited by the IRS than taxpayers 55 and older, they also have an incentive to invest in your services. With this year’s tax season behind us, it’s a great time to look to the future. Continue to build a trusting relationship with your younger clients. They may not be your biggest customers yet, but soon enough, they could be. 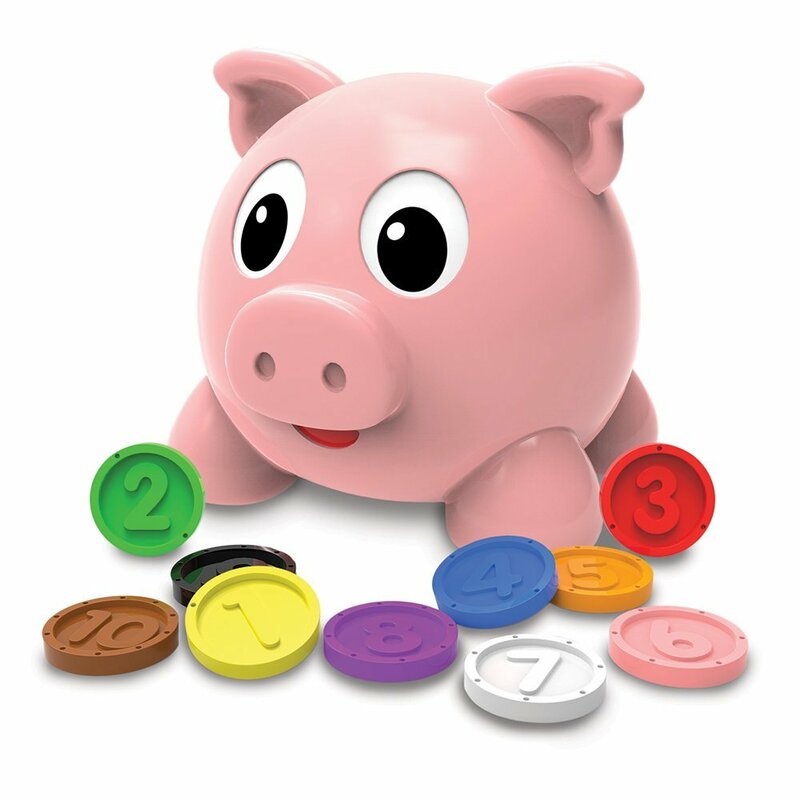 As early as age 2, there are toys like The Learning Journey Numbers and Colors Pig E Bank, which has colored coins the bank counts as you put them in the slot. You can get this toy for around $19. 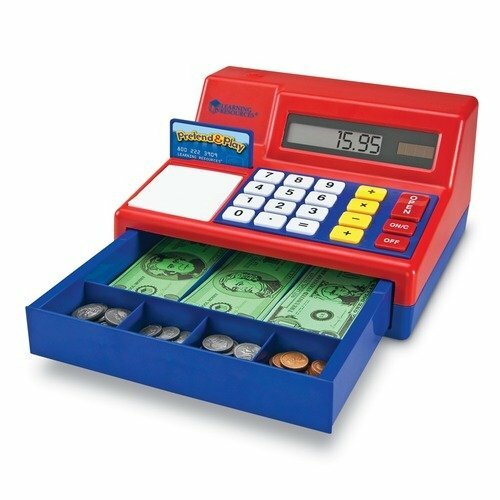 Beginning with toddlers (around age 3), you can use a play cash register to let kids play “store” and understand the basics of money. This can help them learn how much money they have, how much they have left when they buy something, and how things add up when you buy multiple things. One popular cash register from Learning Resources costs about $30 on Amazon. 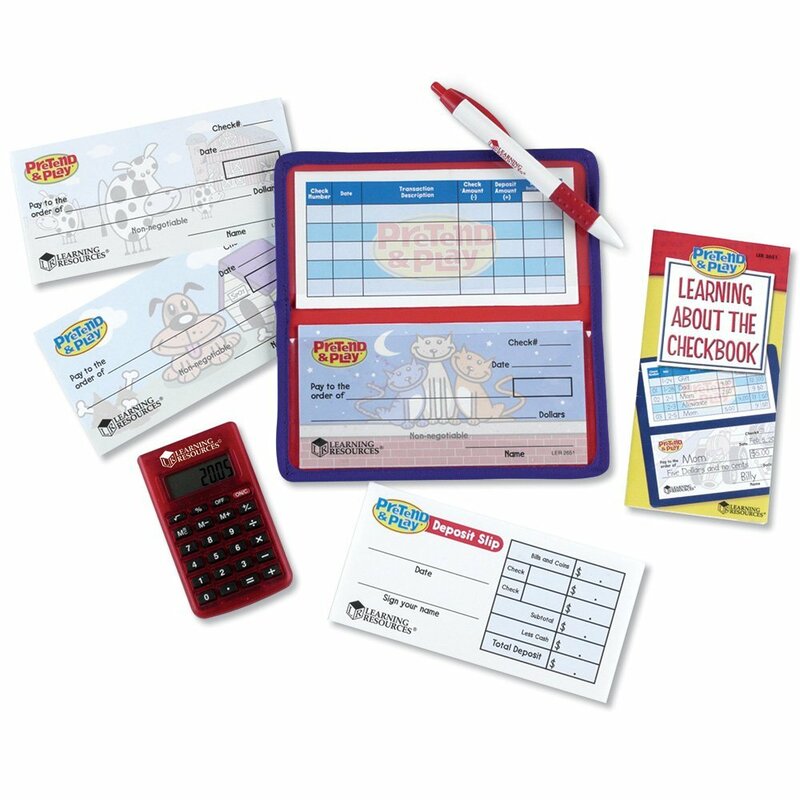 Made for kids 5 and up, this Learning Resources Pretend & Play Checkbook comes with a calculator, checkbook, deposit slips and guide to help kids learn about managing a bank account and writing checks. Even if checks aren’t often used much anymore, it’s still a fun way to help your kids learn about money and debiting accounts. It costs approximately $12. This simple money game on Visa’s Practical Money Skills site is made for ages 3-6 and involves putting together a “puzzle” from mixed up pieces of a bill ($1-$100). Ruby’s Troupe is an organization that uses an interactive theatre with a fun-loving group of puppets to teach kids ages 3-10 (and their parents) about money and finance. The program was created by puppeteer Phyllis Mattson and Debbie Todd, a licensed CPA. It has online modules where children watch puppets, get coloring pages, and have access to games and activities. Ruby’s Troupe also donates 90% of its profits to charity, including nonprofits and foundations that promote financial literacy, which is critically lacking here in the U.S. Only 17 states offer financial literacy courses for high school students and a recent report card by Champlain College’s Center for Financial Literacy gave only five states—Alabama, Missouri, Tennessee, Utah, and Virginia—an ‘A’ grade for providing personal finance education. Made for children from 5-8, this interactive game from Visa helps kids learn about counting and saving money along with U.S. currency. Clay Piggy is an online game created for Kindergarten and above by a parent who didn’t find any fun options when trying to teach her own daughter about money. Students learn basic money management skills such as how to earn, spend, save, invest, and give. 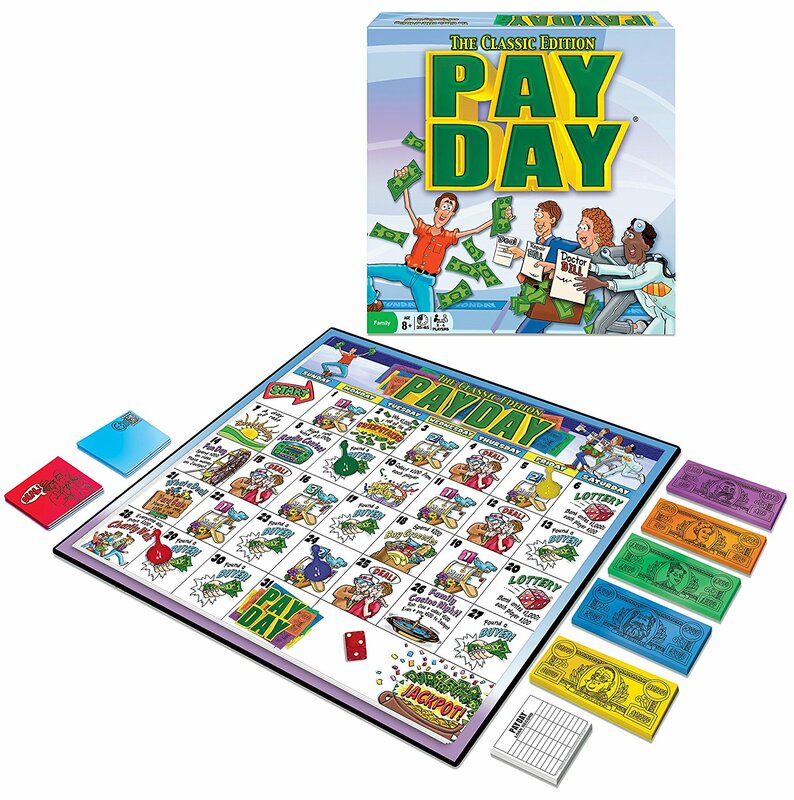 There are different scenarios in the game where they have to take a job to earn money, create a budget, understand wants and needs, watch their credit scores, be a responsible investor by assessing credit profiles of other users who asking for loan, learn how to pay taxes, look at their paychecks and more. Currently Clay Piggy is currently only available for schools to use, but they’re planning to roll out an application for parents later this year. 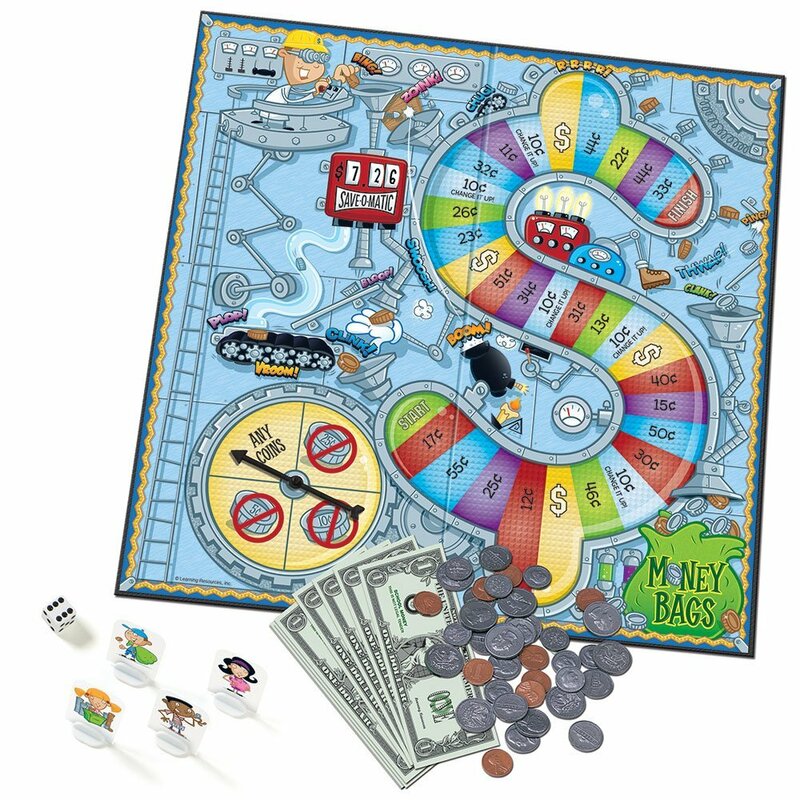 Another game on Visa’s Practical Money Skills site, this one is created for 7-12 year olds to make life decisions that impact whether their virtual bank account will make or earn money. This game is a choose-your-own-adventure simulation where kids help a backpacker plan a trip to Mt. Everest without going into debt. It’s available from Money Prodigy and is made for kids ages 8-13. You can learn more about it and join the wait list here. Visa’s World Cup-themed soccer game is made for ages 11 and up to test financial management skills and the Financial Football game helps kids learn about money management. Created for ages 13 and up, Cash Crunch 101 facilitates the conversation about money. It was created by a teacher for the classroom, but can be used by parents and kids as well. 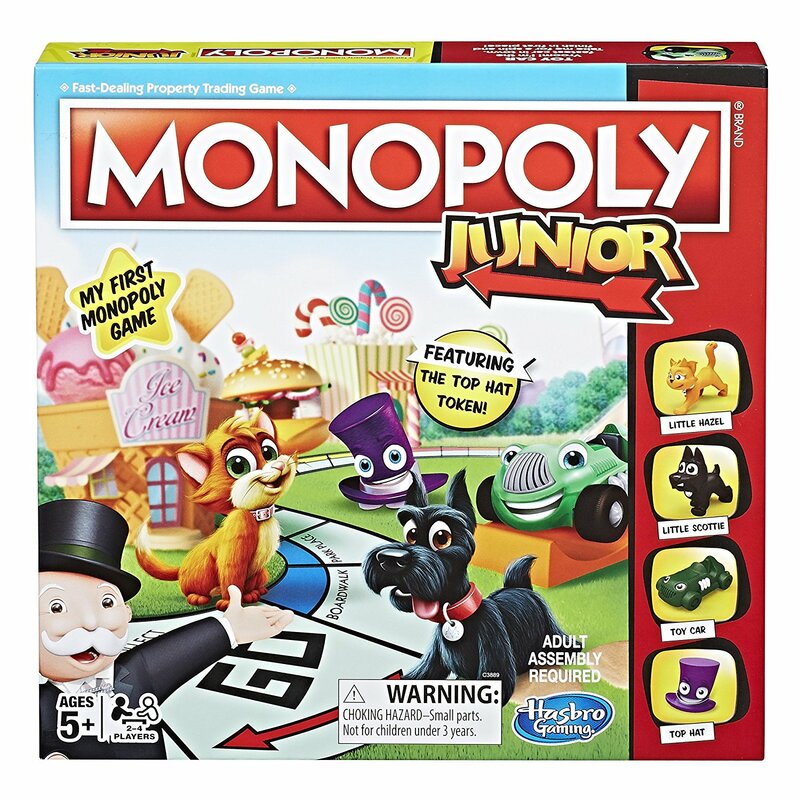 Kids ages 5-8 can play a version of traditional Monopoly, learning how to count money and accumulate assets. It runs approximately $15. 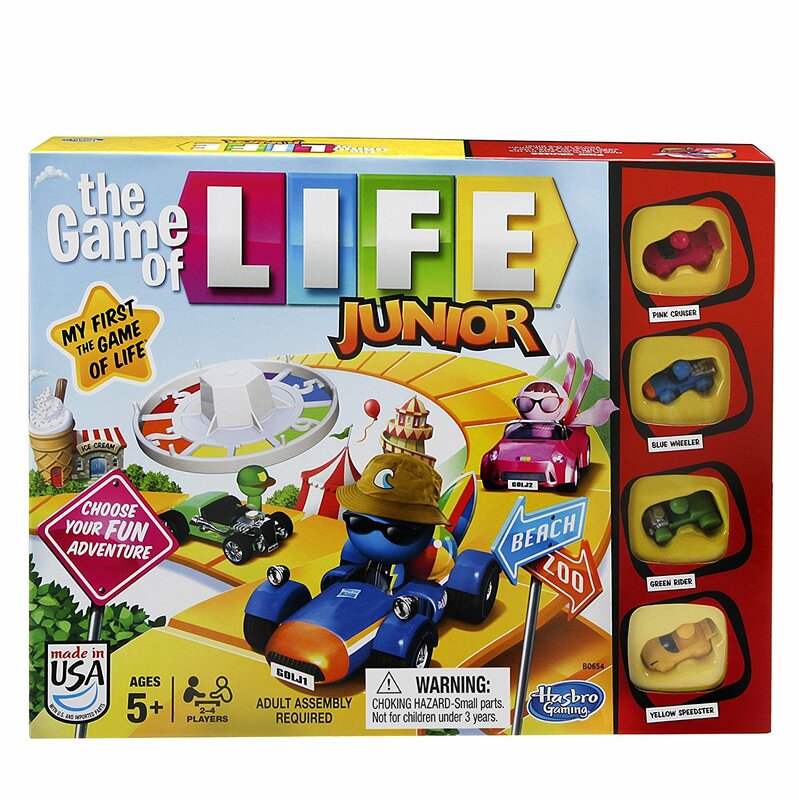 This version of Hasbro’s Game of Life is a version made for kids as young as 5 years old to go on various adventures and make money along the way. It costs about $25. 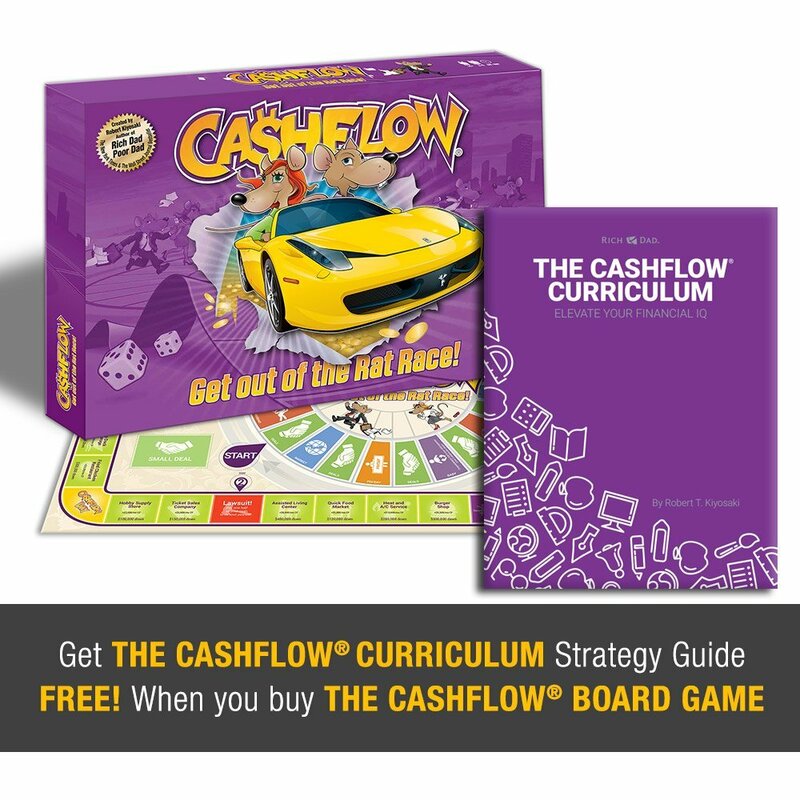 This board game was created for children ages 7-12 and focuses on the value of money, denominations of money and making change. It’s a great way to help kids learn at home while having fun counting money. It costs $30 and is available on the Cash Crunch Games website. Kids ages 7 and older can play this board game from Learning Resources that teaches about collecting, counting and exchanging money. It costs about $16. Originally launched in 1975, this board game was made for children 8 and older to play with their families. Created by Winning Moves Games, the object is to have the most money at the end of the game, which runs about 35-45 minutes long. Throughout the game, players can make deals on property to earn money, get a salary, pay off bills, take out loans, add to savings, and learn about paying fees. You can get it for approximately $15. 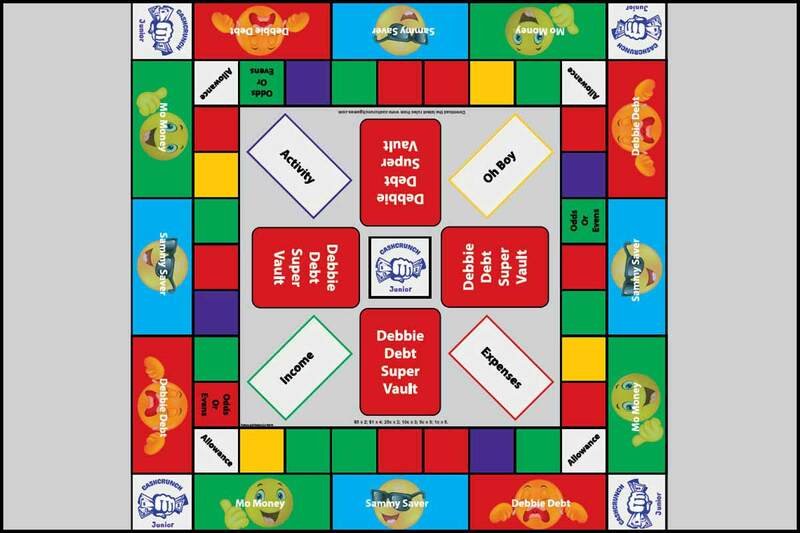 Ages 14 and up can learn more about financial skills, investing, and wealth building in a fun way with this interactive game. It was created by Robert Kiyosaki, author of the bestselling personal finance book of all time, Rich Dad Poor Dad, and comes with a PDF guide. The cost is approximately $80 on Amazon. If you live in Chicago or are traveling there this summer, make sure to take your kids to the Chicago Fed’s Money Museum. It’s open Monday through Friday (except for Bank Holidays) and they offer exhibits such as the Alexander Hamilton Exhibit and interactive displays like the “Banker Challenge” game where kids play the role of a bank manager. Camp BizSmartTM in Santa Clara, CA and Chattanooga, TN helps aspiring young entrepreneurs ages 11-15 learn how to solve business problems and defend their solution to executives and investors. KidsCamps.com offers a directory of camps, showcasing availability in 18 states for business and finance camps. Smart Money Commanders Fun Summer Money Games is launching its first online summer camp in mid-June 2018, which will run through August 2018. Young Americans Center For Financial Education offers workshops in the Denver area both to teach about managing money and running a business. Check out the children museum(s) in your area. Many of them have rotating exhibits and some of those cover business, money and finance in fun, interactive ways. You can find children’s museums here. There’s an organization in Atlanta, GA that not only encourages children to give back, but teaches them how to raise money. Kids Boost, which currently has a wait list of over 200 kids, is a 501(c)3 organization that gives children from third grade through high school $100 and they put together a fundraiser for a charity of their choice. In just a few years, they’ve given kids $6,000 and they have turned that into more than $110,000, supporting 48 non-profits. Instead of adding to the never-ending supply of toys that your kids play with for five minutes, you can use your child’s birthday as an opportunity to give back. 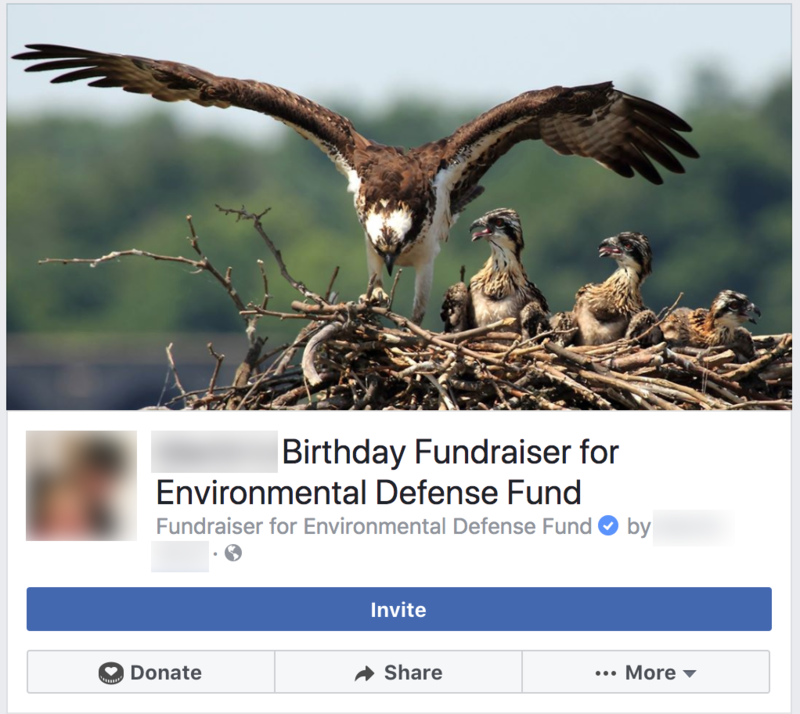 Some charities like St. Jude’s offer a birthday fundraising program where you can easily create a page to collect donations for your birthday. Also, Facebook lets you create a fundraiser for various organizations, letting you share and have people donate to anytime including your birthday. You can also pick a charity that may need physical items and create an Amazon wish list. We did this with my daughter for her birthday—collected toys for the Aflac Cancer and Blood Disorders Center, an idea I borrowed from my cousin. You can deliver the items with your child and make them part of the experience. This may not seem like its teaching kids how to manage money, but it helps them learn about wants vs. needs and the value of money—along with how it can be used to do good things for others. The bottom line is that you should get your kids involved in money conversations early on, and make sure it doesn’t become a taboo topic. That will benefit them (and you) in the long run because often times people get embarrassed when dealing with money challenges. The unfortunate reality, though, is that many people deal with financial issues. A recent survey by the American Psychiatric Association shows that two-thirds of Americans are anxious about paying their bills, up from 56% last year. So the earlier you teach your kids about money and how to talk about it, the better they’ll be set up for success as they grow and have to make their own financial decisions. Learn more here on Experian.com about teaching your kids financial literacy. 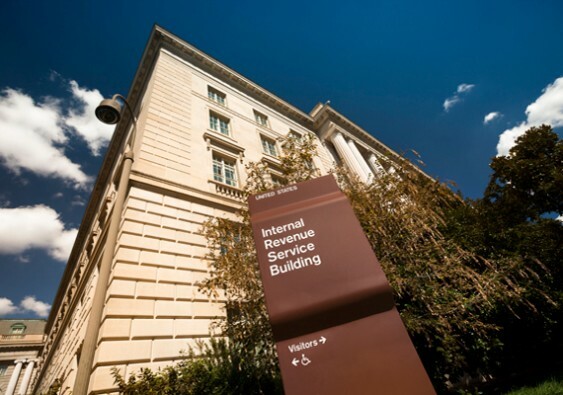 The Internal Revenue Service has released an updated Priority Guidance Plan to give tax professionals and taxpayers information about the areas of the Tax Cuts and Jobs Act and other matters where it plans to provide more clarity in the near future. This third quarter update to the 2017-2018 plan that the IRS issued late Wednesday reflects 13 additional projects, along with information about guidance the IRS has already published during the period from Oct. 13, 2017 through March 31, 2018. In its initial implementation of the Tax Cuts and Jobs Act, the IRS plans to provide guidance in areas such as the business credit for wages paid to qualifying employees during family and medical leave, along with guidance on reportable policy sales of life insurance contracts. The IRS has already released guidance in several areas, including opportunity zones, dispositions of certain partnership interests, withholding and optional flat rate withholding, according to the document. Another important set of items on the Priority Guidance Plan is President Trump’s executive order withdrawing some earlier Treasury regulations and proposed regulations on matters such as estate, gift and generation-skipping taxes and the definition of a political subdivision. Last month, the IRS asked the public for input on other items that should be added to the Priority Guidance Plan (see IRS looks for recommendations on priority guidance on new tax law). The update to the plan will identify the guidance projects that the Treasury and the IRS intend to work on as priorities from July 1, 2018, through June 30, 2019. Staffers on Congress’s Joint Committee on Taxation have also been working on a so-called “Blue Book” that will provide more details on various provisions of the new tax law, along with a set of technical corrections to the tax reform law that they hope to have it in legislative form by the end of the year (see Congressional staff aims to finish technical corrections to tax reform bill). The prospects for passing another tax law anytime soon in Congress are far from certain, although some lawmakers hope to introduce legislation extending the individual tax cuts beyond 2025. There are already more than a dozen reasons people can use to avoid paying the penalty for not having health insurance. Now the federal government has added four more “hardship exemptions” that let people off the hook if they can’t find a marketplace plan that meets not only their coverage needs but also reflects their view if they are opposed to abortion. It’s unclear how significant the impact will be, policy analysts said. That’s because the penalty for not having health insurance will be eliminated starting with tax year 2019, so the new exemptions will mostly apply to penalty payments this year and in the previous two years. “I think the exemptions … may very marginally increase the number of healthy people who don’t buy health insurance on the individual market,” Timothy Jost, emeritus professor of law at Washington and Lee University in Virginia who is an expert on health law. In California, two of those exemptions will be particularly relevant — the one related to abortion coverage and the one for people in counties where only one insurer sells through the state’s Affordable Care Act marketplace, Covered California. The first new exemption, for people in areas with no marketplace plan, isn’t relevant for consumers anywhere in the United States this year. Since the Affordable Care Act’s marketplaces opened, there have been no “bare” counties. This includes California, where Anthem Blue Cross exited six counties and other communities this year, leaving an estimated 60,000 people with only one insurer. The counties of Monterey, San Benito, San Luis Obispo, Santa Barbara, Inyo and Mono were left with only one insurance option: Blue Shield of California. As for the abortion exemption, in many places it won’t be an issue either. Women in 31 states didn’t have access to a marketplace plan that covered abortion in 2016, according to a Kaiser Family Foundation analysis. By California law, abortion services must be covered in marketplace plans as well as by Medi-Cal, the state’s Medicaid program, and by most private health plans outside of the marketplace — except employer-funded ones. That means women in the Golden State might have trouble finding insurance that excludes abortions, experts said. New York and Oregon also have similar laws. The ACA established several different types of exemptions from the penalty for not having coverage. Among them are exemptions for not being able to find coverage that is considered affordable or being without insurance for less than three consecutive months in a year. People claim these more common exemptions when they file their tax returns. Hardship exemptions that had already been on the books protected people who faced eviction, filed for bankruptcy or racked up medical debt, among other difficulties. Consumers apply for these exemptions by submitting an application to the ACA insurance marketplace. The new hardship exemptions apply to people in all 50 states, according to an official at the federal Centers for Medicare & Medicaid Services, which oversees the health law’s insurance marketplaces. To apply, people generally need to provide a brief explanation of the circumstances that made it a hardship for them to buy a marketplace plan, along with any available documentation, when they submit their application to marketplace officials. They can apply for the current calendar year or going back two years, to 2016. It’s difficult to gauge how many people will try to take advantage of the changes, said Tara Straw, a senior policy analyst at the Center on Budget and Policy Priorities. “People aren’t sure how to apply or if they’re eligible, and that discourages them from applying,” Straw said. The penalty for not having health insurance in 2018 is the greater of $695 or 2.5 percent of household income. During the 2017 filing season, there were more than 106 million tax returns reporting that all family members had health insurance, and nearly 11 million tax returns that claimed an exemption from the requirement to have it, according to a report from the Treasury Department’s inspector general for tax administration. 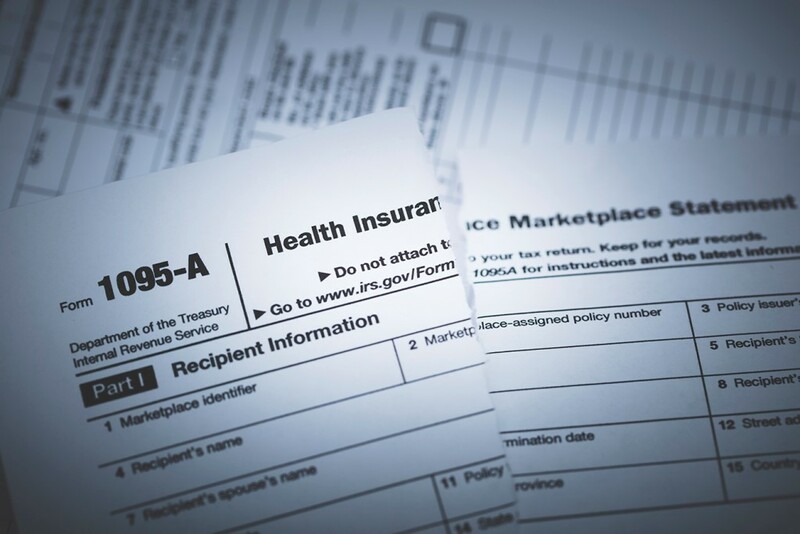 In addition, more than 4 million returns reported paying penalties totaling nearly $3 billion for not having health insurance. People often don’t realize they may owe a penalty until it’s time to do their taxes, said Alison Flores, a principal tax research analyst at H&R Block’s Tax Institute. H&R tax preparers first work to see if clients can qualify for an exemption that can be claimed on their tax returns. If that doesn’t work, they move on to the hardship exemptions. The preparers help people get the hardship exemption application, but it’s up to consumers to send it to the marketplace and get the exemption certificate. The federal guidance about the new exemptions was released April 9, shortly before the end of the income tax filing season. 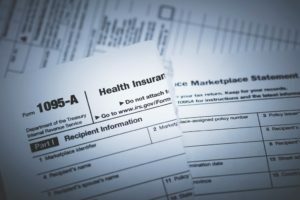 People who’ve already filed their taxes and qualify for the new exemptions for 2016 or 2017 and get marketplace approval can file an amended tax return to receive a refund of any penalty they paid, said Katie Keith, a health policy consultant who writes regularly about health reform. Don’t panic. It won’t get you anywhere. Too many times, taxpayers completely freak out over a missed deadline and decide that there’s no point in filing now and decide to fix it later. Don’t be that taxpayer. Later might not come: Fix it now. Double-check whether you needed to file in the first place. We all think we need to file but not everyone needs to. If your income or other circumstances mean that you don’t need to file, you’re in the clear. But be careful: Whether you need to file can change from year to year so don’t assume that you won’t need to file next year if you get a free pass this year. File today. If you didn’t file on time, get your return together as soon as you can. If you are due a refund, there is no penalty for filing a late return after the tax deadline. But if you owe, penalties and interest are calculated based on the passage of time: The more time that goes by, the more you will owe. Use Free File. For those taxpayers who qualify (and the IRS estimates that about 70% of taxpayers do qualify), Free File is available through October 15. Just as it sounds, Free File allows taxpayers to prepare and file returns electronically for free. For more information, check out Free File on the IRS website here. Pay attention to available extensions and relief. The IRS has announced that taxpayers affected by natural disasters, including individuals and businesses affected by Hurricane Maria, have extra time to file this year. For more details or to see if you’re eligible, check the IRS website. Additionally, some taxpayers are automatically entitled to extra time, including those who are out of the country or on active duty in the military. File even if you can’t pay. A lot of taxpayers figure that if they can’t pay, they shouldn’t bother to file. No, no, no: Penalties are assessed both for failure to file and failure to pay if you will owe taxes. 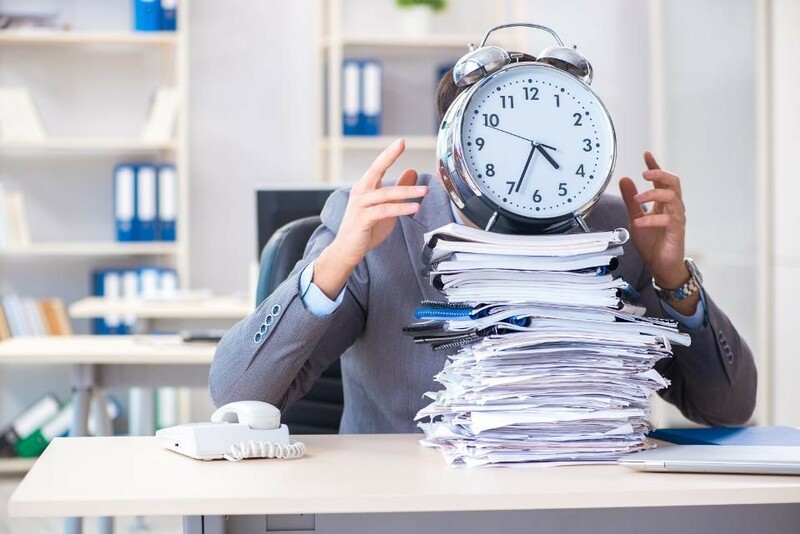 The failure-to-file penalty is usually 5% for each month or part of a month that your tax return is late; if your tax return is filed more than 60 days after the due date, the minimum penalty is the lesser of $210 or 100% of the unpaid tax. So don’t make a bad situation worse by failing to pay and failing to file. If the dog really ate your tax return, or if something else happened to prevent you from filing on time, tell the IRS. The IRS does have the ability to abate penalties for reasonable cause (the law, however, generally bars the ability to abate interest). If you file late – and you think you have reasonable cause for doing so – you can request an abatement using form 843, Claim for Refund and Request for Abatement (downloads as pdf). Find a good tax preparer. You can ease a lot of your stress by using a good tax preparer. Since it’s immediately after the tax season rush, you want someone who isn’t closing up shop tomorrow with no plans to reappear until next year. Call around. Ask for referrals. Find someone that you can trust. Make sure you feel comfortable (ask questions). And then follow through. Pay as much as you can. If you can pay something – anything – make a payment. If you can’t pay it all at once, there are alternatives, including setting up an installment agreement with IRS. But don’t use your lack of funds as an excuse to do nothing. See again #6. Plan for next year. Like Christmas, Tax Day comes at the same time every year (okay, maybe not every year, since considering those IRS glitches, you did get an extra day this year). 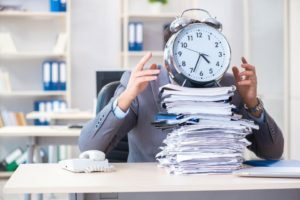 But a lot of the stress associated with Tax Day – like shopping for Christmas – can be avoided with a little bit of planning. Maybe this is the year that you invest in a scanner for those receipts. Or you hire that tax pro (see again #8). Or you set up personal finance software to track your income and expenses for the year. Whatever you need to do to ensure that you file on time next year (or file with an extension), plan to do those things now.